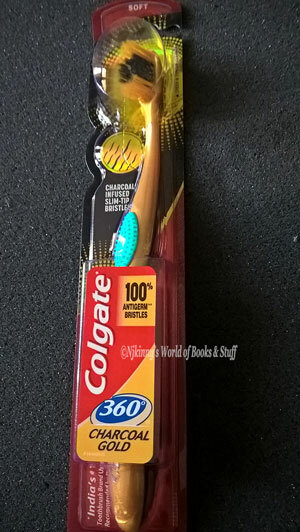 Home / Articles by Njkinny / Health and Lifestyle / Product Review / #Colgate360GoldMornings ~How I turn my Good Mornings in to Gold Mornings! #Colgate360GoldMornings ~How I turn my Good Mornings in to Gold Mornings! Each morning is a new start to a new adventure and another chance given by God to us. Mornings are an important part of the day for me. In order to turn my good mornings to gold, I try to start them in a happy, calm and relaxed manner. I follow a simple routine to ensure that every good morning is a gold morning for me! Each morning when I wake up, first thing I do is show gratitude and be thankful to God for this privilege of a new day to be alive, to breathe, love and enjoy. A good toothbrush works wonders on our teeth and leaves us feeling instant freshness. My next step right after waking is to brush my teeth thoroughly and I rely on Colgate 360 Charcoal Gold toothbrush for cleaning my teeth and mouth, leaving me energized and fresh! This brush works not only on the teeth but also cleans the tongue and cheeks, going even into the deepest corners of the mouth. It has soft bristles and a firm grip that makes effectively cleaning my mouth so easy and a pleasure. Feeling fresh and good about myself, I get to the next step in my daily routine. Colgate 360 Charcoal Gold toothbrush gives me good oral hygiene. It cleans the whole mouth and leaves me feeling fresh and confident! I wake up a little early every morning so I have atleast an hour of extra time to spend on myself where I just relax, read a good book, exercise and sit in my garden soaking the peacefulness of the silent atmosphere around me with no chaos of motors, no rush of people hurrying to work and with only the sweet chirping of birds for company around me. Taking time out for yourself is a great way to not only relax but also get yourself ready to face the challenges of the day. You can do anything you like in this time like exercise which is great both for our body and mind. It not only strengthens our immune system but also makes us look and feel beautiful and healthy. 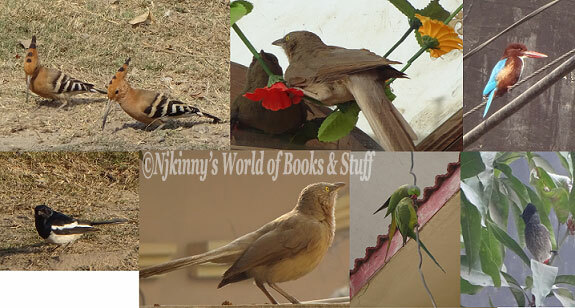 Some of the many birds that keep me company each morning with their sweet antics. With the close of my me time, it is time to wake my family and then take a bath, after which I prepare breakfast and pack tiffin boxes for everyone to take to office. I usually plan my breakfast menu a night before so I don’t feel confused on what to make. Planning a different and yet tasty and nutritious breakfast is a challenge but which can become simple if we have a plan! Watching your family enjoy your cooking and praise you is a feeling that has no parallel and brings a happiness like no other. This is my morning routine that turns all my mornings to #Colgate360GoldMornings. What’s yours?